An 18-year-old Hailey man has pleaded not guilty to a felony charge of grand theft for allegedly possessing a shotgun that was stolen last spring from the West Glendale Road area south of Bellevue. Richard M. Livingston was arraigned on a charge of grand theft by possession of stolen property at a hearing Monday in Blaine County 5th District Court. Judge Robert J. Elgee advised Livingston that the crime is punishable by up to 14 years in prison. A jury trial was scheduled for June 28. Hailey attorney Douglas Werth has been assigned as public defender. Livingston is currently free on $10,000 bond. The charge against Livingston was filed on Dec. 8 following an investigation by the Blaine County Sheriff's Office. A probable-cause affidavit filed by sheriff's Capt. Ed Fuller alleges that Livingston possessed the gun, knowing it was stolen, before trading it for a pickup truck to a man in Twin Falls. Fuller wrote that the gun has now been recovered and is being held as evidence. 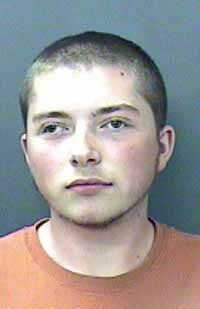 Fuller alleged that the shotgun was stolen from a storage trailer on April 24 while Livingston and a group of youngsters were having an all-night party on West Glendale Road. Livingston now faces two felony charges in 5th District Court. He was charged with aiding and abetting delivery of cocaine for allegedly selling 3.3 grams of the substance to an unidentified Blaine County Narcotics Team confidential informant in Hailey on Sept. 29. Livingston pleaded not guilty to the cocaine charge at arraignment on Dec. 13 in 5th District Court. Jury trial in that case is scheduled for April 6.